Custodial rights of unmarried fathers | Law Offices of Kelley A. Joseph, P.A. On behalf of Kelley Joseph of Law Office of Kelley A. Joseph, P.A. posted in Fathers' Rights on Wednesday, May 16, 2012. Unmarried fathers of children have often struggled futilely to fight for any sort of custodial rights whatsoever when it comes to their children. Yet what happened in Colorado may have consequences in Florida as well when concerning a father's rights to visitation and custody. The father in question has only been allowed to visit his biological child once in close to five years. In part this came about because the mother of the child went across state lines and allowed her own brother to adopt the girl in Utah. She likely did this to prevent the biological father from ever gaining custody or visitation rights concerning the child. However, the Utah Supreme Court has now invalidated the adoption while returning the custody case back to where it was originally heard in Colorado. 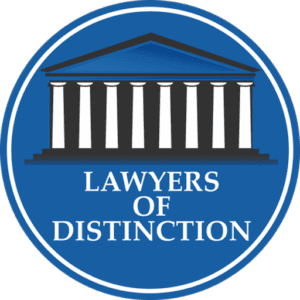 It is important that attorneys and judges look at the overall qualifications of the parents and not make child custody determinations based upon stereotypical assumptions that all child raising determinations be made by one parent or the other. It is what is best for the child rather than considerations of gender that should determine who makes what decisions concerning the child's upraising. This case shows a significant change in how family matters have been decided in the United States. Had the case been ruled in a different way it might have made it all the way to the United States Supreme Court. There may yet be that case filed that will allow this issue to be determined in the highest court. In any case, the ruling for at least one locality signified that both birth parents should have visitation rights when it comes to their child. Edwards & Associates is widely respected in the field of fathers&146; rights family law and one of best divorce lawyers and attorneys in Atlanta, Georgia.Call 404-841-0155.